You know to brush and floss your teeth and gums, but did you know your teeth go through six stages of development throughout your life? The oral surgery experts at SoundView Oral & Maxillofacial Surgery in New London, CT, specialize not only in wisdom teeth removal and jaw surgery, but also in providing quality care and educating their patients about their teeth. Odontogenesis: Odontogenesis is the first stage of tooth development. 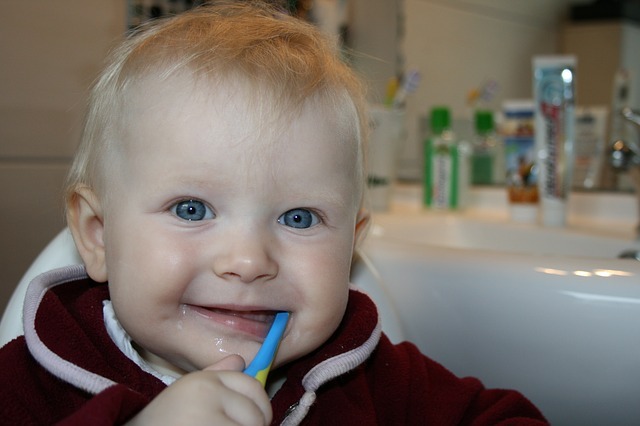 During this stage, which occurs just six months after conception, approximately twenty teeth buds begin to grow from embryonic cells in the mouth. The Cap Stage: In the cap stage, the dental stem cells start to grow into the various kinds of cells that make up the different parts of the tooth. The Bell Stage: During the bell stage, the cells continue to differentiate from one another as they mature. They also start organizing themselves in the order they will be in once the tooth has developed fully. The Crown Stage: During the fourth stage, the tooth becomes much more recognizable as an actual tooth. The tissues that make up the tooth, including the enamel and dentin, are fully formed by this point, and the tooth looks like a small baby tooth. These teeth are temporary and will begin to fall out between six and eight years later. The Growth Of Adult Teeth: Permanent teeth eventually start putting pressure on the baby teeth, which causes the roots to resorb. This loosens the baby teeth until they eventually fall out and are replaced by the adult teeth, which take about six months to grow in fully. The Aging Of Adult Teeth: Even those who practice good oral hygiene habits will notice their teeth aging and wearing down over time. This is the final stage of tooth development. If your teeth are not developing correctly, an oral surgery expert will be able to diagnose any issues that might be preventing them from doing so. Visit the website of SoundView Oral & Maxillofacial Surgery in New London, CT, to learn more about the various procedures they offer, and call (860) 443-3619 to schedule an appointment to discuss your oral surgery options today.